Contact us today to discover how our team of industry leading specialists can enhance your next project. 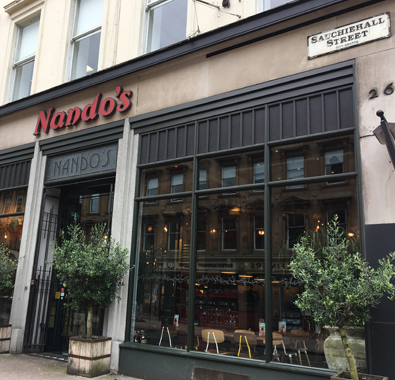 RMP have worked closely with Caswell Engineering to deliver new Nando’s restaurants throughout the UK. RMP were commissioned to undertake noise impact assessments, acoustic design of the building services noise control measures, advice on internal sound insulation control and air tightness testing.